This personalized leather travel bag will ensure that your groomsmen travel in the uttermost style. In a compact size with a top zipper opening and side zipper, this travel bag is perfect for carrying necessities while on-to-go. 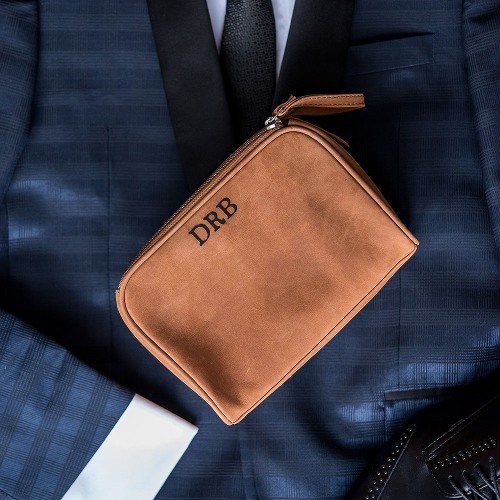 The monograms on the sides of each bag make the gift all the more personable that your groomsmen are sure to love!